It is with a very heavy heart that I have to pass on the news that University of California Berkeley Energy and Resources Group (ERG) core faculty emeritus Gene Rochlin passed away this weekend. The last night before suffering a stroke, he spent his final dinner surrounded by his sons, their wives, and all of his grandchildren. Gene was an incredibly vibrant and integral part of ERG. His own transition from physics to the social and political study of science, complexity, and engineered systems mirrored what so many of us find critical and central to the Energy and Resources Group. Among his many publications, his books, Scientific Technology and Social Change (1974), Plutonium, Power, and Politics (1979), and Trapped in the Net (1997) explored both the high profile and the more nuanced aspects of science and society. Gene was an invaluable teacher and mentor to generations of ERG and UC Berkeley students. 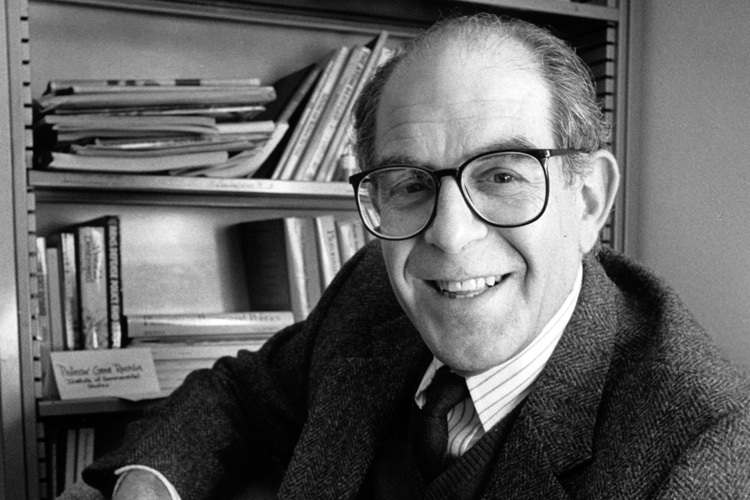 He facilitated the dialog across campus between science, engineering and social science and the humanities. In fact, even in retirement, Gene continued to play a core and inspiring role in ERG. He would have taught a masters seminar this coming week. Gene was also a tremendous friend and mentor outside the classroom. His welcoming informal meetings with students, extensive conversations about career paths, and trips to Giants baseball games (especially when the Cubs were in town) showed just how fun and welcoming a role model and friend he was. Gene will be sadly and sorely missed. To make a gift to ERG in Professor Rochlin’s honor please visit our giving page and indicate that your gift is in his memory.